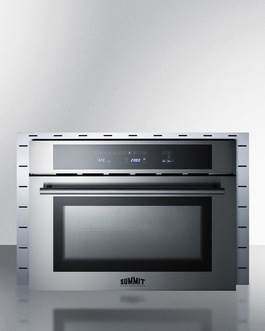 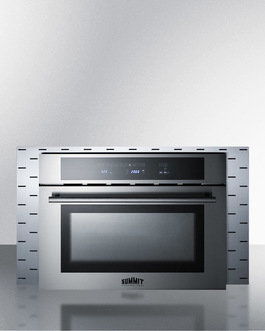 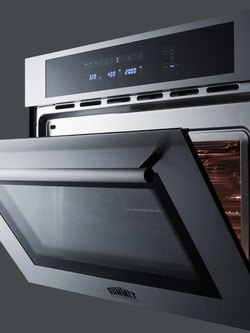 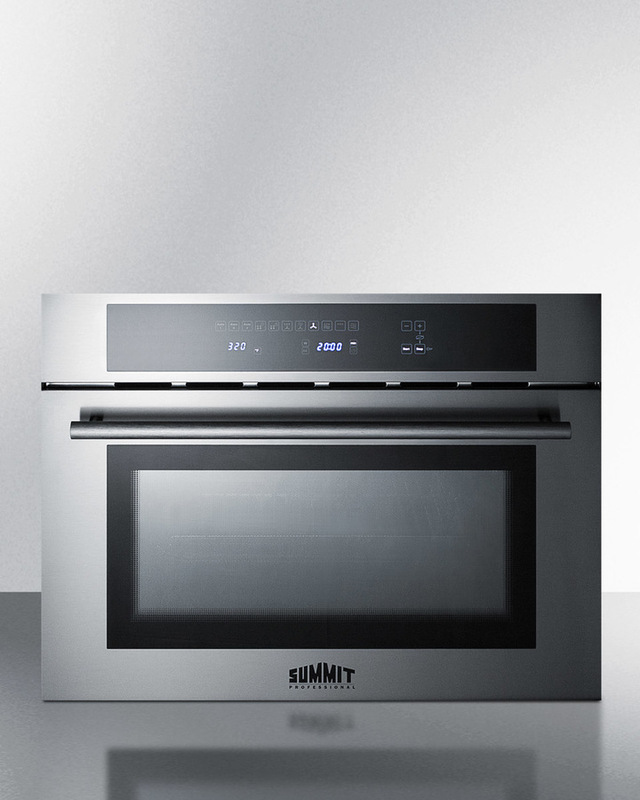 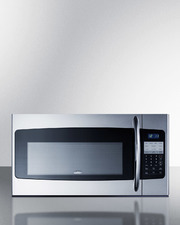 Enjoy complete cooking convenience in modern European style with Summit's CMV24 speed oven. 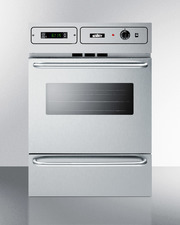 Designed for built-in installation, the CMV24 meets all of your cooking needs in just 24" of width. This unit can be installed in 22" W x 17 5/8" H wall cavities, as well as under the counter to make the best use of your kitchen space. 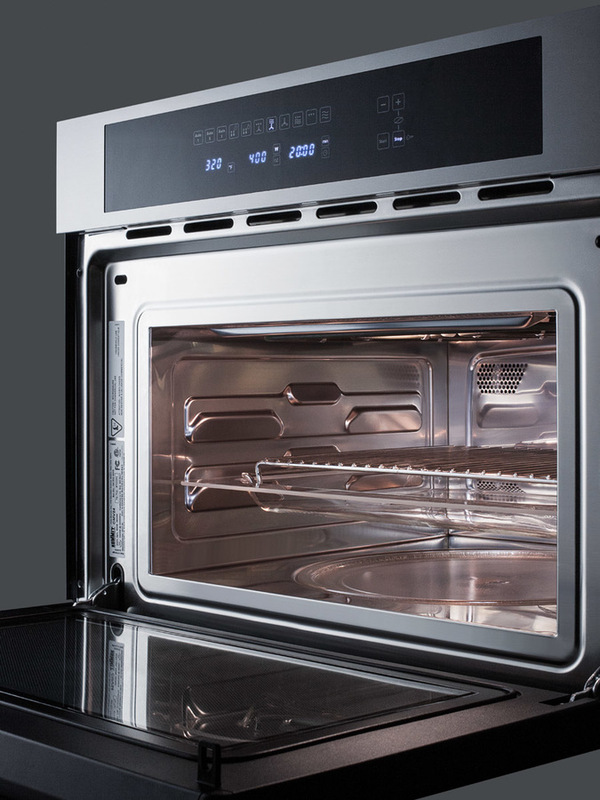 The door and manifold feature sleek stainless steel construction for easy cleaning, with a matching handle to complete the modern look. 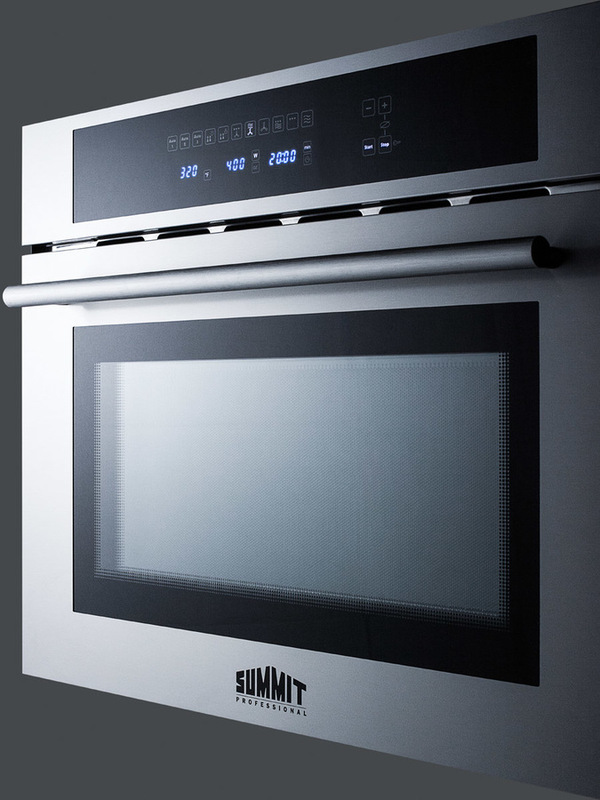 The double pane glass door comes with an attractive tint and jet black trim to match the digital touch control panel. 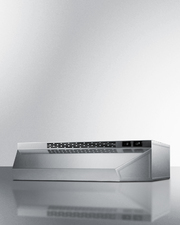 Inside, the CMV24 is constructed from stainless steel, with a removable glass turntable that sits flat inside. 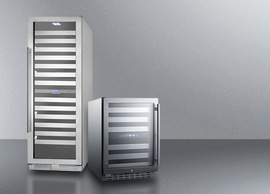 This unit ships with a glass baking tray and grill trivet. 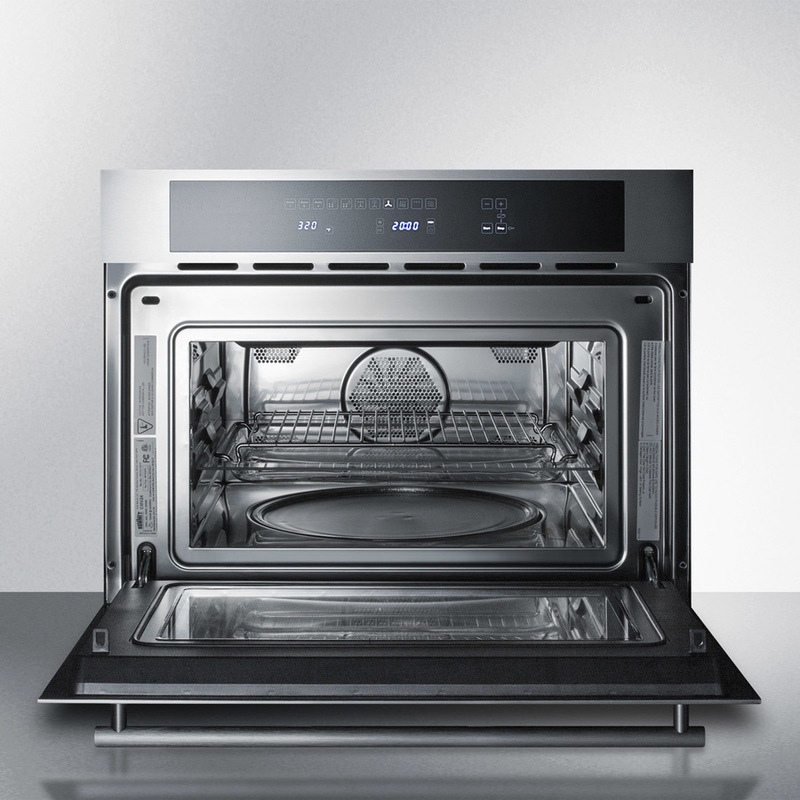 With its ideal size, modern style, and advanced technology, the CMV24 is the perfect way to bring full service cooking convenience to space-challenged kitchens. 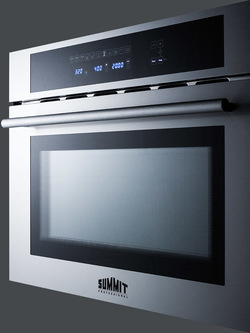 NOTE: This unit is 240V and requires installation to be completed by a qualified professional. We also offer trim kits to allow installation in wider cabinet openings. 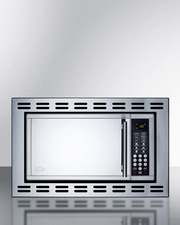 See the TrimKitCMV27 for 27" widths and TrimKitCMV30 for 30".